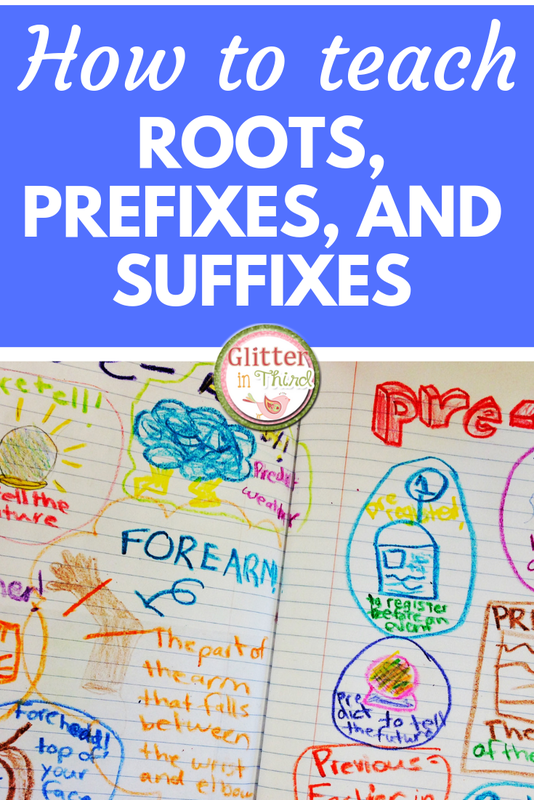 Are you teaching prefixes, suffixes, and roots? I strive for a literacy-rich classroom. Developing morphological-rich awareness is a basic building block for reading comprehension, spelling, and even fluency. If a student can pronounce and know what a "tyrannosaurus rex," they are more than capable of interpreting a word like "serene." Just because a word appears big, does not mean that it is hard. Teaching morphology will provide students with building blocks to thousands of new words. 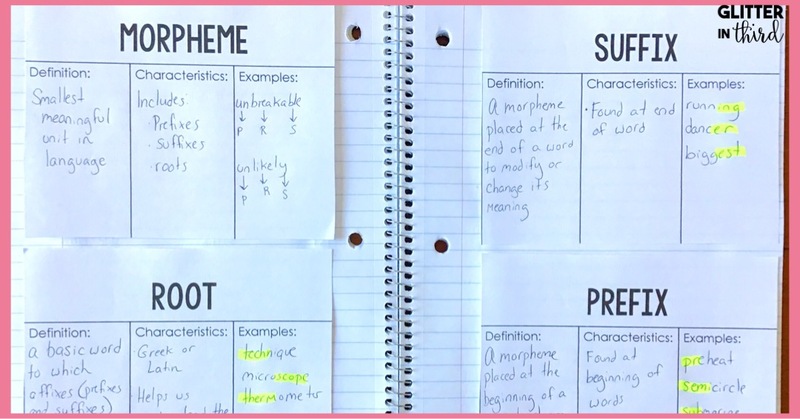 If you are short on time, I have a Morphology Notebook available at Glitter in Third on Teachers Pay Teachers - click here to take a peek! 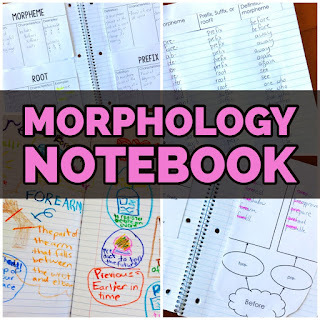 Are you interested in starting a morphology notebook in your classroom? Read how you can start one below! What materials do I need to teach prefixes, suffixes, and roots? You could use a composition book, a spiral notebook, or even a section in a 3-ring binder for this. If there is a composition book area in your classroom that you generally don't fill up, you can make a tab and have your morphology notebook start in the middle of it. If you do not want to create all the activities and find the morphemes yourself, you also will need my Morphology Notebook activities. How often would I use this prefixes, suffixes, and roots morphology notebook? It is up to you! I like to have a total of 13 weeks for morphology. Why 13? I personally like flip-flopping a week of morphology with a week of word study. Generally we have 40 weeks in a school year, but I prefer not giving morphology work in the very beginning of the year while we are still learning our routines and enhancing our community. I also like to have a full week for it, so I do not do it on weeks where we have a Monday or teacher workday off. Finally, we tend to have large projects or PBLs at the end of the year, so I prefer to have morphology finished by that point in time. What prefixes, suffixes, and roots should my students learn? I give my students a variety of commonly seen prefixes, suffixes, and roots. I want them to make connections in their everyday life. For example, "preheat." If their mom is talking about preheating an oven, they make an instant connection that means they are heating the oven BEFORE cooking. If they hear the word "forecast," it is telling something BEFORE it happens. How do I introduce the term morphology with prefixes, suffixes, and roots to my students? Do your students know the word "morphology" or "morphemes?" I don't know about you, but my students have no idea what these words are in the beginning of the year! Like anything, I have to introduce it. Those two words sound scary at first- because they sound difficult. Once I explain that morphology is the study of language and that morphemes are the building blocks of our language, students already get more comfortable. I introduce this generally with a BrainPop on roots, prefixes, and suffixes. I also like to do a read-aloud or two with my students. Below are two good ones. Both are Amazon Affiliate links, so if you click and purchase the book I receive a very small percentage of each purchase that helps keep this site up and running. However, you can jot down the name and find these books at your local bookstore! 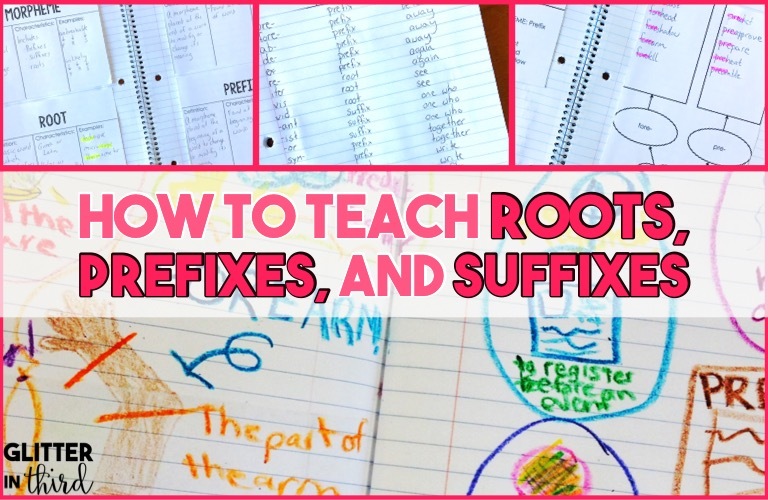 Then in small groups, we break down the terms "morphemes," "roots," suffix," and "prefix." We talk about definitions, characteristics, and examples of each word. I do this in small group to ensure that all my students are following along and understanding. What kind of activities should I use to teach prefixes, suffixes, and roots? I am a major advocate of having a routine regarding morphology. It makes it easy for the teahcer- just plug in the new material. Students already know what is expected of them, so it saves valuable time explaining the activity and eliminates the "wait what am I doing?" thoughts that students can sudenly get when independently doing a center. What I love is that after the initial setup and explanation to the kids how to do each of the "days," they can do it all by themselves. It is perfect while you are meeting at your small table with groups, the kids are independent and learning on their own. What prefixes, suffixes, and roots activities will I do each day of the week? Here is the schedule that I use and works best in my classroom. Do morphology sort. Highlight prefixes/suffixes/roots of the week. Morpheme illustration. 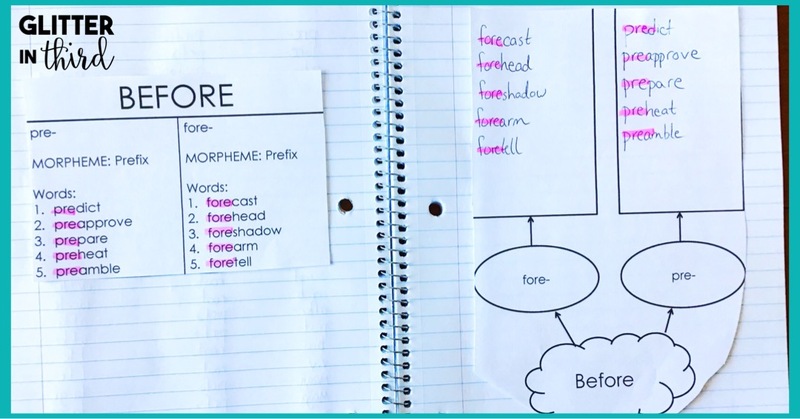 Students will illustrate their word list of their morpheme of the week. A dictionary search. Kids get dictionary practice and must look up three of the words of the week and write their definitions and page numbers. I love this for dictionary and alphabetical order practice, which my students always struggle with. It also builds connections regarding definitions and the morphemes. Write sentences using the words of the week. This is the day that the new morphemes are introduced. As you see in week 1, the morphemes of the week both mean "before." The morphemes are pre- and fore-. There is a word list with some words containing this prefix, and on the right there is an actual sort. 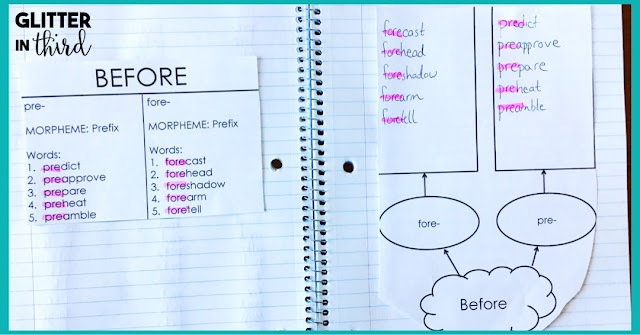 After students sort the words according to prefix, they then highlight the morpheme of the week. This may seem repetitive, but it is incredibly helpful to have students practicing where they would find a prefix/root/suffix. It helps stick in their minds exactly where each morpheme is located within a word. Morpheme Illustration! 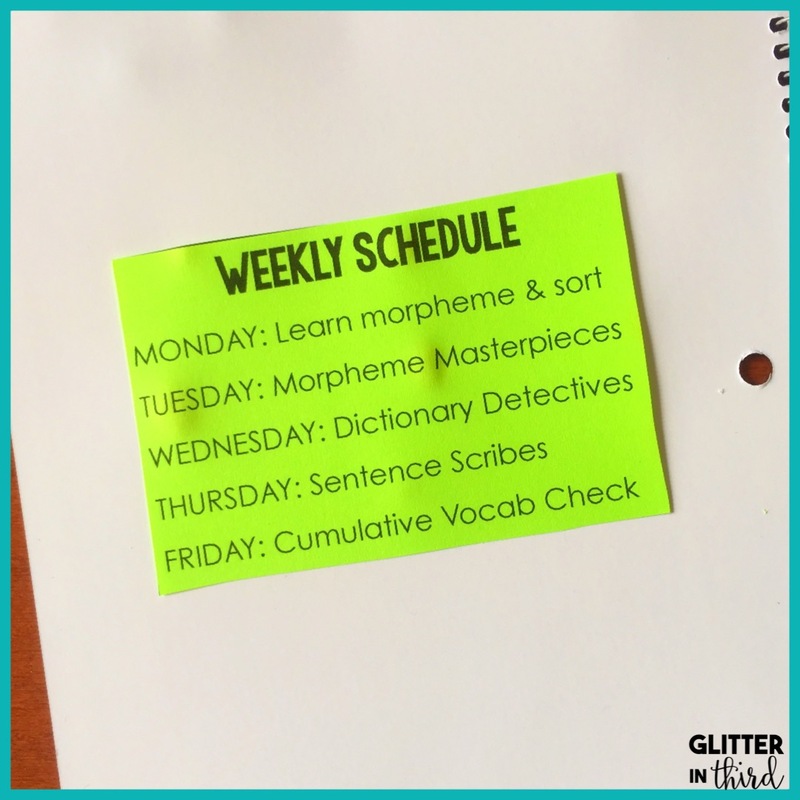 In their Morphology Notebook, students will write each of the morphemes of the week. They also write each of the words, and draw pictures to illustrate each one. For example, the Constitution for the word preamble, rain for a forecast, and an eye for foresee. Pictures and visuals are one of the best for creating memories! This is definitely the students' favorite day. How funny is that second journal?? "I am dehydrated after PE. Just like I am at the exact moment I am writing this." Dictionary Detectives. 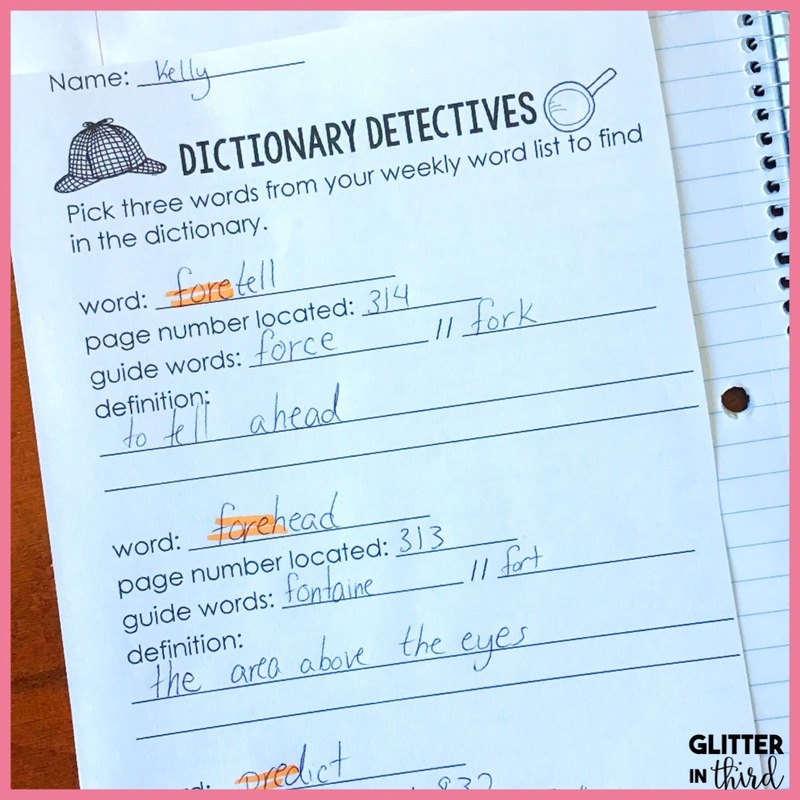 Kids find out the meaning of the word, citing both guide words and page number for proof that they found the word! Dictionary work and guide words is a skill that third-graders are still learning and working on, so this can be challenging for some of them. Sometimes I have the struggling kiddos do this in partners. How cute is the detective clip art??? I am such a clip art addict. I love cutesy clip art, but I think this notebook is more suited toward older kids, so I had to put a halt on my usual "adorable children smiling" clip art. Sentence Scribes. Kiddos make sentences with their words of the week! Easy, fun, and reinforces the idea of where the prefix/root/suffix is located. 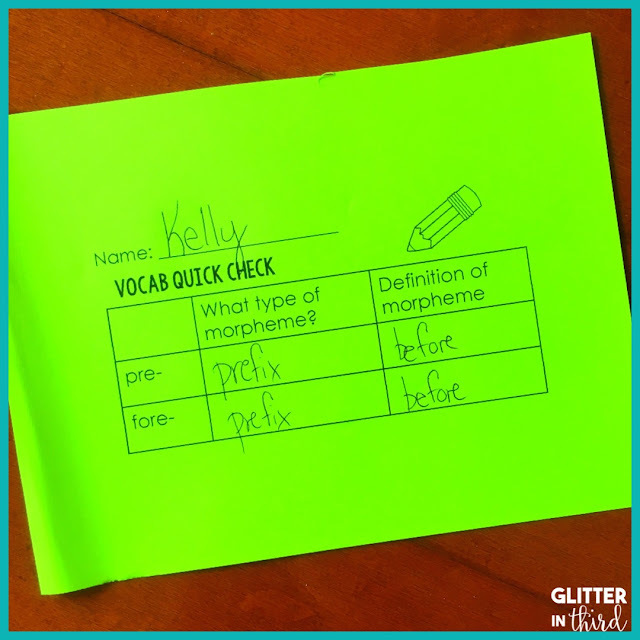 Cumulative morpheme quick check! The morphemes of the week are added to all the previously studied morphemes. The quiz on week 13 is very long, but the first couple of weeks are short and sweet. This routine is repeated every week with different words. Students know exactly what is expected of them because of this. How will my students remember all the morphemes? My fave aspect of this notebook is the cumulative morpheme quick check at the end. After a few weeks, the kids are shocked to realize how many morphemes they learned in such a small amount of time. Breaking it down into small, organized chunks does wonders for the kids' memorization and understanding. 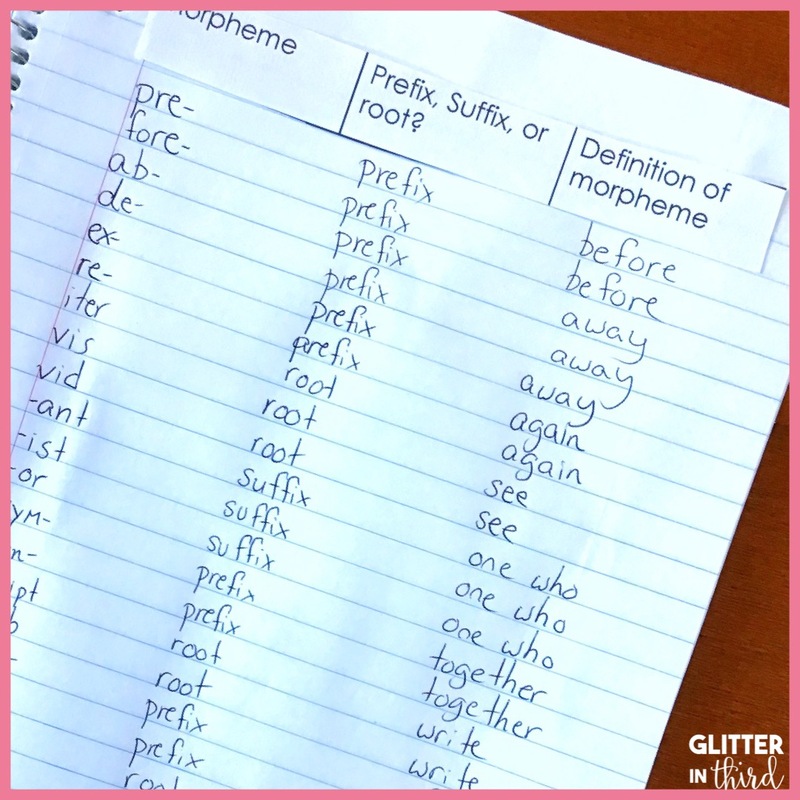 Are you worried about your students remembering the morphemes after a few weeks? So was I, until I learned about Quizlet. Have you heard of Quizlet? These are online flashcards, and my best friend when it comes to getting kids studying and excited to review. Something about having them digital makes them a million times more interesting than writing on and reviewing with index cards. I would highly recomend this. I email out the link to parents, and parents are great at making sure that their child reviews. However, you could also dedicate time during literacy centers throughout the week to study these, or rotate students onto devices during morning work to do some quick review. Will I have time to teach all the prefixes, suffixes, and roots? You know your class best! In the beginning of the year while my students are still learning how to do the morphology routine and how to use a dictionary, I never have time to do Thursday's activity. Instead, I have my students finish up their activities for the week on Thursday. It is entirely up to you and your class' needs! Do I have to assess students on their knowledge of prefixes, suffixes, and roots? Oh my goodness, of course not! Teaching morphology is valuable whether or not you give students an assessment. This morphology notebook can be easily done without giving the cumulative assessment each week. Do what works best for your classroom needs. I hope you found some of these suggestions or tips helpful If you are short on time, I have a Morphology Notebook available at Glitter in Third on Teachers Pay Teachers - click here to take a peek! 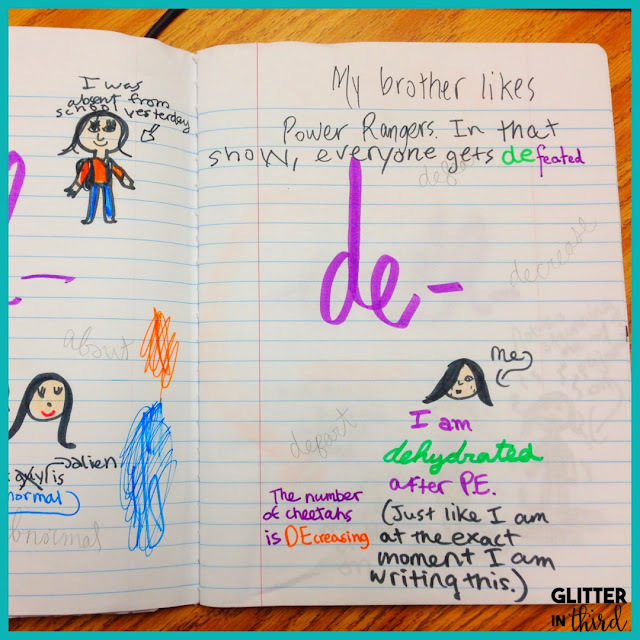 How do you teach prefixes/suffixes/roots at your school? Do you have any questions about the notebook and how it is set up? Thanks for the great ideas! 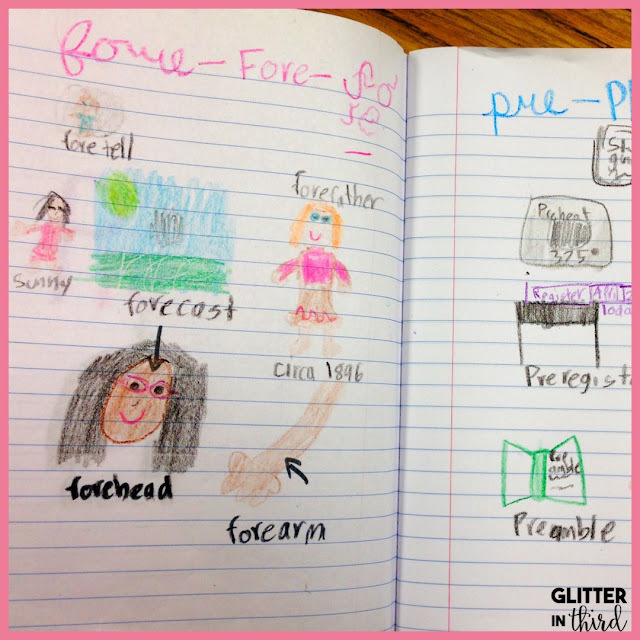 Do you have a specific dictionary that you like to use in your classroom? Hi there! I love your product, especially the dictionary guide words part! 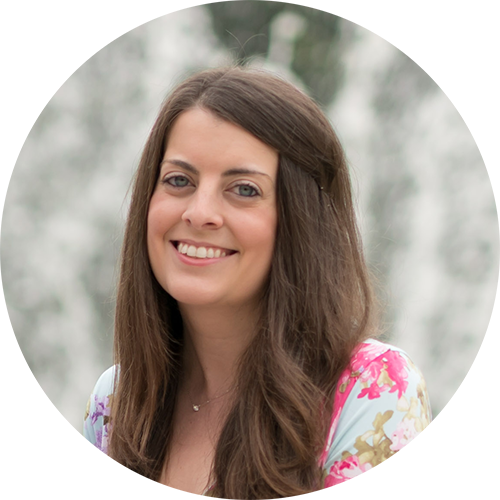 I wanted to ask if you could share the quizlet link you shared with your students? Do you have multiple ones for each week, or just one big cumulative one? Thank you! Your product is EXACTLY what I am looking for! I am teaching morphemes more seriously this year as I always have a lot of middle schoolers who are not able to pronounce longer words, etc. And when they can, their deficiency in affixes really negatively impacts them! I am also doing centers this year. I knew, before you wrote, that this product would make for perfect centers. I am delighted, just enthralled. It's not only cute, I can see it is efficient! Thank you so much.